This ticket allows general access to the standing area of the Metronome Festival 2019 for 2 days, Friday 21st June - Saturday 22nd June. This ticket allows general access to the seating area of the Metronome Festival 2019 for 2 days, Friday 21st June - Saturday 22nd June. This ticket allows general access to the standing area of the Metronome Festival 2019 for 2 days, Friday 21st June - Saturday 22nd June for ISIC Card holder. This ticket allows general access to the seating area of the Metronome Festival 2019 for 2 days, Friday 21st June - Saturday 22nd June for ISIC Card holder. 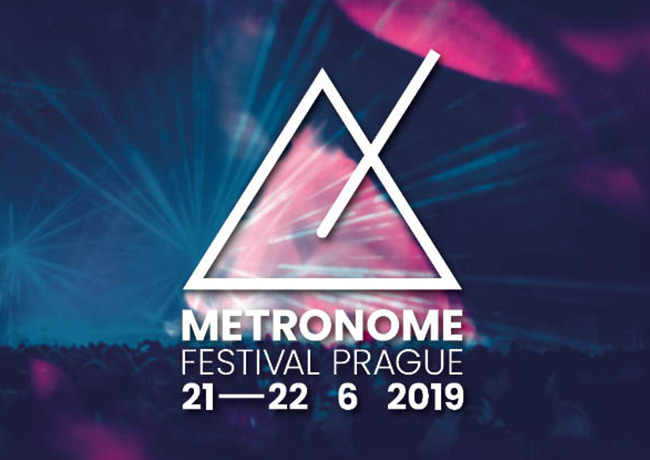 This ticket allows a junior (12 - 18 years old) general access to the Metronome Festival Prague 2019 for 2 days, Friday 21st June - Saturday 22nd June. This ticket allows a holder of a disabled ZTP / ZTPP card general access to the Metronome Festival 2019 for 2 days, Friday 21st June - Saturday 22nd June. This ticket allows VIP access to the Metronome Festival 2019 for 2 days, Friday 21st June - Saturday 22nd June. Benefits of the VIP standing ticket include access to the standing area and the VIP zone with its own exclusive bar and comfortable facilities. This ticket allows VIP access to the Metronome Festival 2019 for 2 days, Friday 21st June - Saturday 22nd June. Benefits of the VIP seating ticket include access to the seating area and the VIP zone with its own exclusive bar and comfortable facilities. Sir Toby’s is anything but conventional. It has a little something for everyone – from shared rooms to quaint and charming private rooms. It’s warm, communal, and has an energy flowing through it you can only feel once you step inside our doors (…and head down to The Pub for beer tasting…or the brick-cellar kitchen to make your own home-cooked meal…or borrow a book and get cosy on a couch...well, you get the idea.). There’s a lot to experience. A stone's throw from SaSaZu makes for an easy walk home! 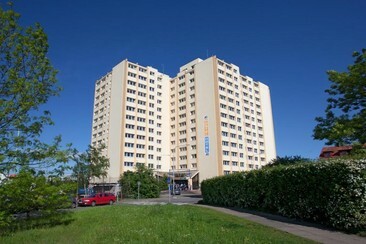 The A&O Prague Metro Strizkov first opened in June 2012 and features 163 simply furnished guest rooms and dormitories. The hostel also boasts a lobby bar, a lounge with a TV, and a sumptuous all-you-can-eat continental breakfast buffet that is served each day. Other available amenities include: a 24-hour front desk, an internet terminal, tour desk, packed lunches, and luggage storage. Free public parking is possible at a nearby location. The A&O Prague Metro Strizkov is situated in the Strizkov district and is only 5 minutes from the Strizkov metro station. The centre of Prague can be reached within 15 minutes, and the Letňany exhibition and shopping complex is 1.2 miles away. The E55 motorway is a 2-minute drive from the hostel. 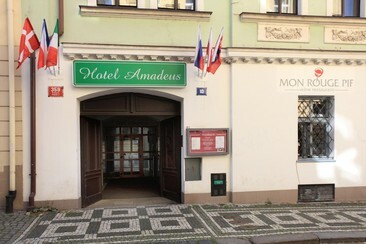 Hotel Amadeus Prague is a quiet hotel close to Prague city centre. It's easily accessible by public transport, even at night. Wenceslas Square, Old Town Square, and the city centre can be reached via public transport within 10 minutes. Amadeus consists of two connected buildings with a common entrance, reception desk, and a terrace. The spacious non-smoking rooms and apartments are equipped with private shower and WC, satellite TV, telephone and Wi-Fi access. Studios and apartments offer a kitchenette with a fridge, stove and cooking utensils. 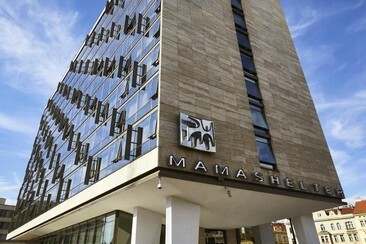 Mama Shelter Prague is situated close to the main attractions, to a large park and to the Prague Holesovice exhibition grounds. The property is an 8-minute walk from Praha-Bubny train station, 2 km from the Old Town Square and 3 km from Prague Castle. The hotel offers 2 restaurants with fine cuisine, 2 bars, and up-to-date meeting rooms. 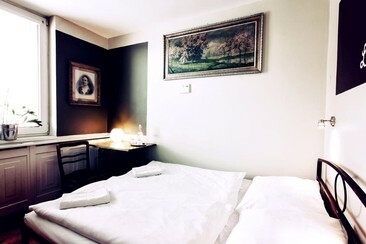 All rooms at Mama Shelter Praha feature free Wi-Fi, flat-screen TV, and minifridge. There is also a terrace at the hotel. Newly opened in September 2013, the very stylish Pentahotel Prague is the perfect place to explore Prague from and not just because of its excellent location. With its funky, modern yet relaxed style and brand new premium beds & facilities, it's ideally suited to relax after long days spent pounding the cobbled streets of the old town or big nights out in the colourful city of Prague. The 4-star Absolutum Boutique Hotel is a newly renovated and modern hotel situated in the heart of Prague. The hotel features 40 inviting guest rooms that are decorated in warm tones, and are equipped with a variety of amenities. The Absolutum also boasts the Salut restaurant that serves both Czech and international cuisine accompanied by a top-class menu of Moravian and foreign wines. 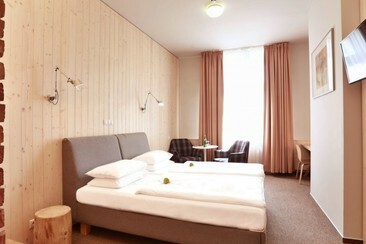 The hotel wellness centre is equipped with a rustic Finnish sauna, a cooling pool, a rest room, and a solarium. Other hotel amenities include: a 24-hour front desk, currency exchange, luggage storage, laundry services, a gift shop, and free on-site public parking. The Absolutum Boutique Hotel is approximately 1.7 miles from Prague's Old Town, the Old Town Hall, and the Astronomical Clock. NH Collection Prague is located at the base of the Mrázovka Hill, 2.1 km from Charles Bridge, 3 km from the iconic Prague astronomical clock. The hotel is a 6-minute walk from the nearest metro station. The hotel has a contemporary restaurant with a terrace, an Italian eatery, a laid-back lobby bar and a rooftop lounge with a terrace and city views. Other amenities include a fitness centre, a spa and wellness centre with an indoor swimming pool. 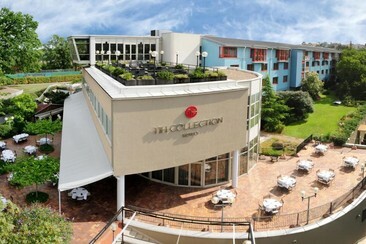 NH Collection Prague has 309 air-conditioned rooms with a private bathroom. Guest rooms are equipped with a seating area and a flat-screen TV, a work desk and a coffee machine.